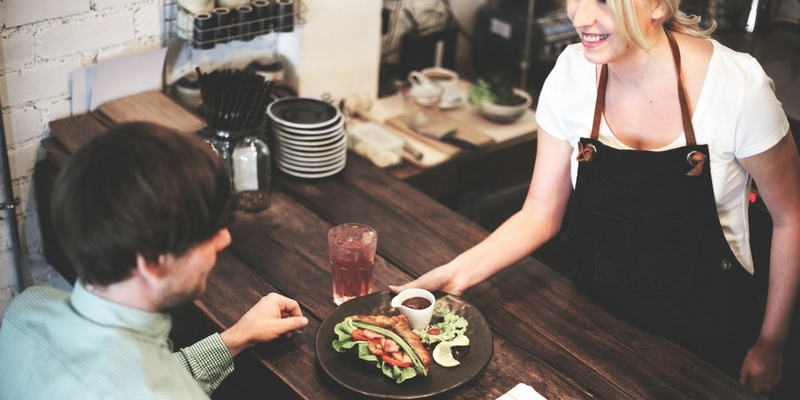 If this is the year you’re determined to find a better way, you probably won’t need much convincing about the benefits of restaurant scheduling software after reading these six advantages of automating employee schedules. With restaurant scheduling software like Ameego, you create shift profiles (ie Night Bar 1) and employee profiles. So, with one-touch scheduling, the system looks first at the shift profiles you need to fill, and fills the hardest ones first, like Sunday Brunch (everyone's favorite :)). Staff are only scheduled for shifts that are in their profile. So, a hostess wouldn’t be assigned to serve on the patio, or three new servers still being trained wouldn’t be assigned to Friday happy hour. It’s not just scheduling faster, it’s scheduling smarter. 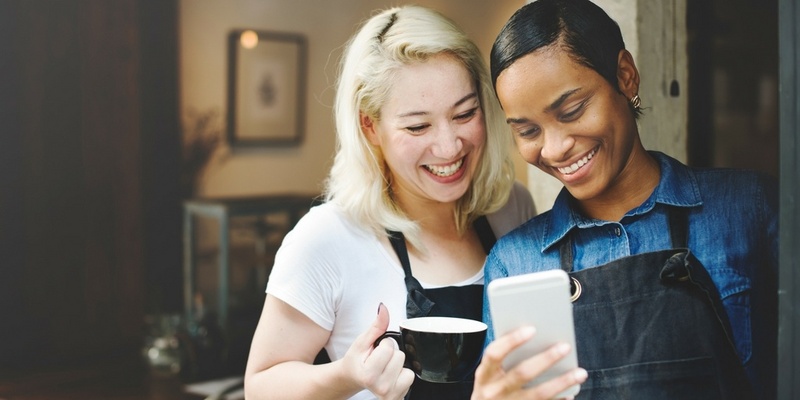 You’ve got leaders where they need to be and the right skill levels on the floor to ensure the shift runs smoothly and customers get the kind of service that will keep them coming back. Another perk of automated scheduling and these profiles is that the system helps identify staffing gaps, and when you need to hire more bodies. This might be the biggest reason why owners and managers never revert back to manual scheduling once they try automated scheduling: labor cost control. Now that you’ve got that deep historical data, you can make pretty accurate sales projections for any given week. Let’s say that number is $73,000. Here’s where it gets simple, and valuable. Tell the scheduler what your projected sales are. Tell the scheduler what your labor percentage goal is. Scheduling managers can only schedule according to the budget approved by the GM. Let the scheduler schedule staff within that budget, and ensure you stick to it with ongoing notifications and real-time projected verses actual adjustments are made as last-minute changes take place throughout the week. Instead of ‘scheduling in the dark’ you’re scheduling to your sales and budget. It’s easy, in this flying-on-your-feet industry, to ask one or two servers stay an extra hour tonight, and a bartender tomorrow and three girls on Saturday. And before you know it, your labor costs are way over. With automated scheduling, you have the numbers and tools at your hands to make decisions that will allow you to avoid overtime costs. For example, there are settings to control the max number of hours a week an employee can receive without going into overtime. This setting automatically prevents any overtime from being scheduled! The only overtime that could get scheduled would be forced by a manager, and even then they would receive notifications and warnings that they are about to schedule overtime. If you choose a restaurant scheduling software vendor that can integrate with your POS system, you can take advantage of what we call ‘the schedule push’—employees can log in only when their shift is scheduled to start, instead of 15 minutes earlier, which could tip them into overtime. The same capabilities that help you avoid overtime costs also help prevent time theft and foster accurate time tracking in general. Check out our post Time Theft: Who Is Really Doing the Stealing? Next to recognition, getting staff into stable shifts that suit their lives is one of the easiest ways to improve staff happiness, and, in the end, retention. Schedule well in advance. When it only takes you minutes to create the perfect schedule (everybody is where they should be when they want to be), it only takes a few mouse-clicks for you to create and share the schedule. That means you’re more likely to do it in advance, which gives staff a chance to plan, and that tends to make staff happy. Schedule according to availability. Since each staff profile includes the days and times they can’t work, your automated scheduler won’t let you put them in shifts when they’re unavailable. Learn more about the benefits of cooperating with staff schedules in our post 4 Expensive Problems Created by Scheduling Staff Outside Their Availability. Manage and grant time-off requests. Managing all those requests to go to weddings and funerals and birthdays and exams is done without a thought in an automated system as staff upload requests through the employee portal. Managers can also insert requests from staff. Communicate quickly and easily. When something comes up, and things always do, it’s easy for you and staff to get a hold of each other through mobile-friendly notifications. A lot of manual restaurant employee scheduling is really just guessing. Two servers for Friday lunch in the lounge. Two servers on the patio. And you continue doing what you’ve always done simply because that’s the way you’ve done it. And if there are slow days or crazy rushes, well, you roll with it. What if you had a better way of knowing exactly how many staff you need on the floor, not just for the day, but right down to every 15 minutes? 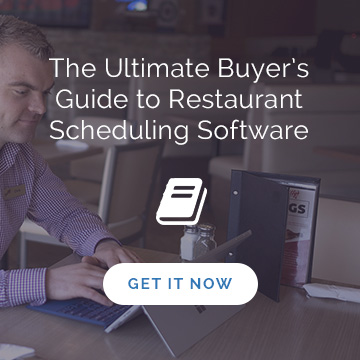 Automated scheduling allows you make informed choices based on historical sales data that can dive past sales, all the way to meal counts for the quarter hour. This isn’t just a Saturday in March you’re scheduling for, it’s 11:30 am on the March 16 you’re talking about, and now you’ve got a whole new level of insight at your fingertips. With that, you can ensure staff shifts begin and end when you’ll actually need those specific bodies on the floor. You’re always just a few mouse clicks away from the perfect schedule. Let’s face it, trying to do all of the above on your own every week or every other week would take hours, and it’s not apt to be as proactive about balancing costs and skills on the floor. And automated scheduling isn’t at all trying to replace the scheduling manager, it’s simply giving them more time to spend on customers rather than sitting in an office doing paperwork. If you're saving 2, 3, 4 hours a week on the schedules or more, what could your managers be doing instead? 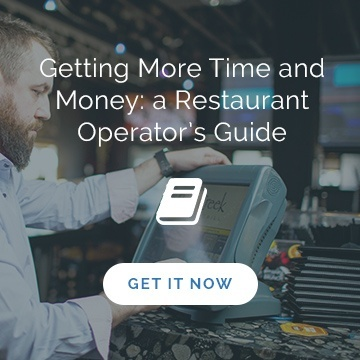 Over the course of a year that's over 100+ hours that can be redistributed from sitting on the computer, into driving better results at your restaurant. That's quite a return on investment! So what are you waiting for? Contact us to talk about our automated restaurant scheduling solution that’s going to save you time and money.